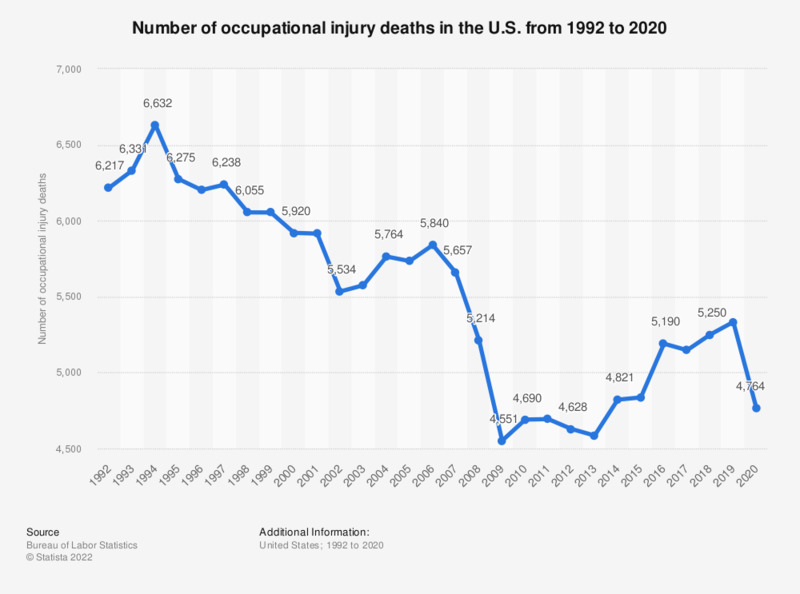 This statistic shows the total number of occupational injury deaths in the U.S. from 1992 to 2017. In 1995, there were 6,275 occupational injury deaths in the United States. By 2017, this number had decreased to 5,147 deaths. Figures from 1992 to 2002 were taken from the previous year's report and can be found here on page 1. Includes fatalities to all workers, regardless of age. 2001 data excludes fatalities due to the September 11 terrorist attacks. Generally speaking, what would you be willing to do for work?